Another sudden change in the weather has brought on a day that is sunny, hot, and MUGGY! I like it all but the muggy part, but it is what it is, and I’m not complaining. A walk in the park around mid-day captured several photos that made me happy. 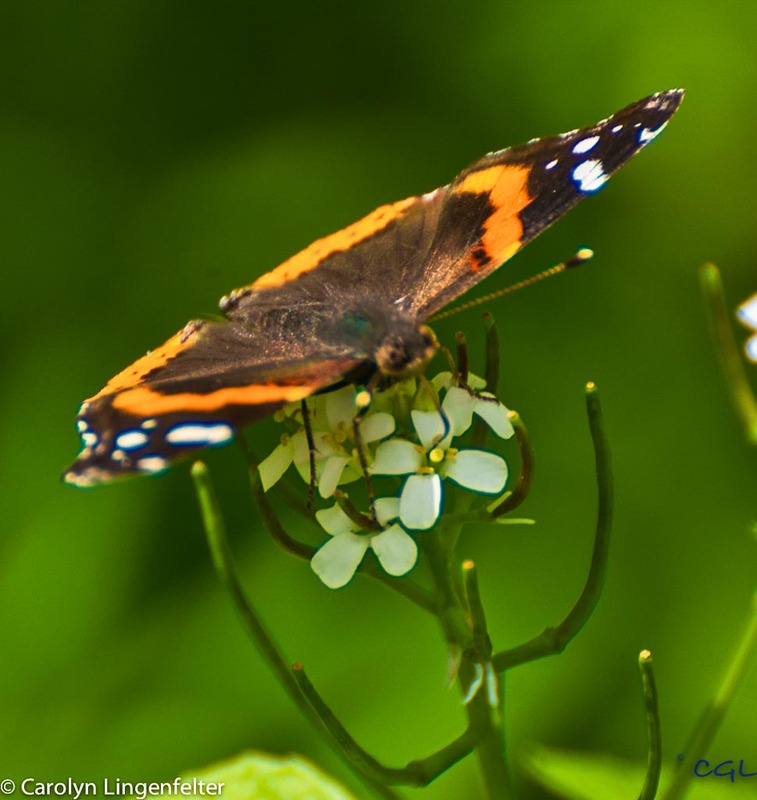 First, a red admiral butterfly. They are far from rare, in fact this spring we seem to be overrun with them, but he posed for me on the greenery, so there you are! 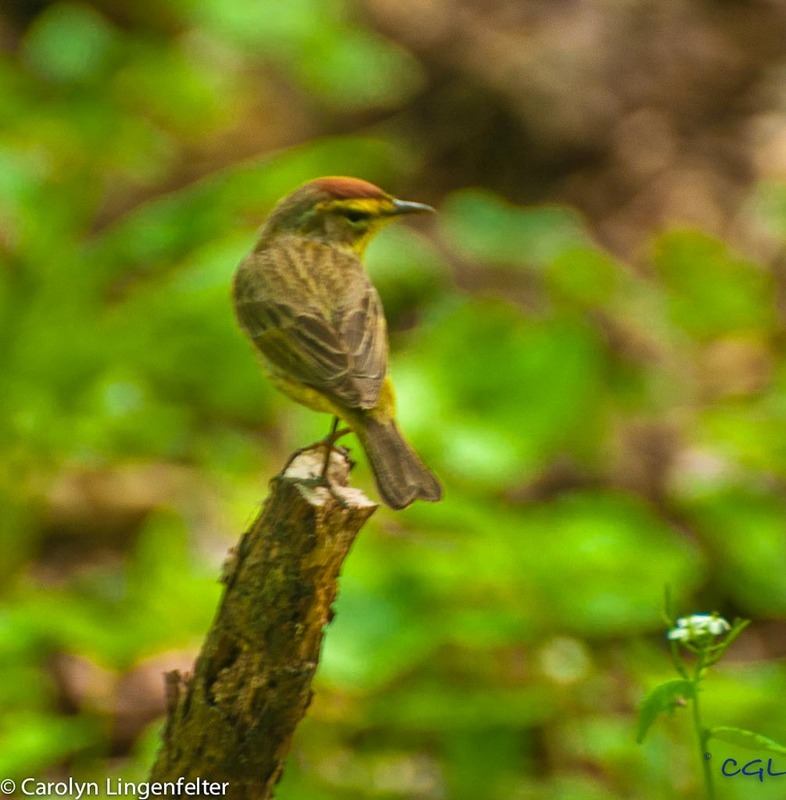 Second in the series is a palm warbler. Although I am no expert on migratory birds, it was identified by another photographer I met in the park. The quality of the image isn’t what makes me happy. It’s not the best. What makes me happy is that I spotted and captured a reasonably good picture of a warbler. They are such flighty little things (pun intended of course). 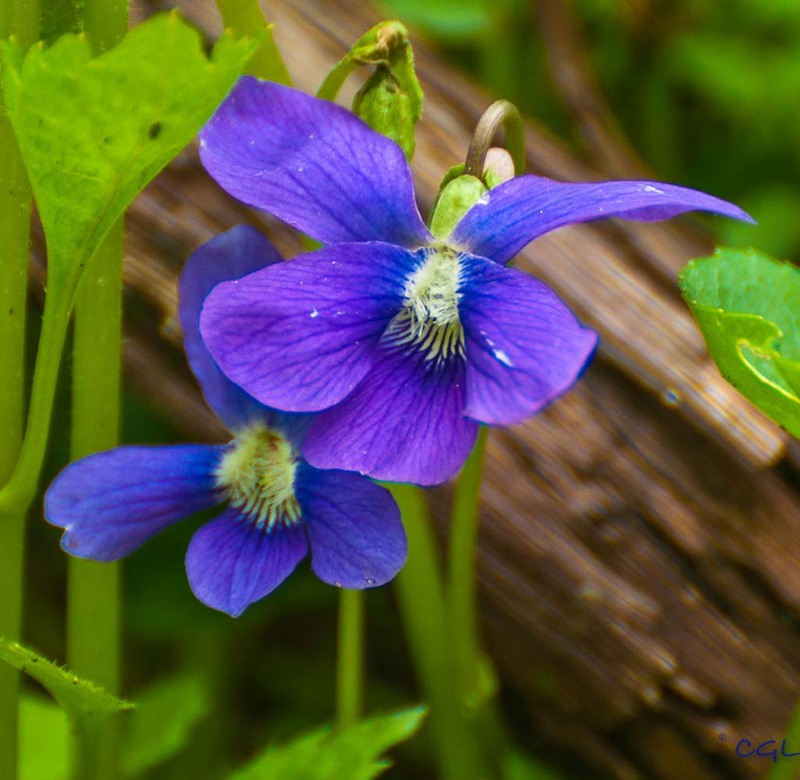 I’ve always called the little purple flowers violets (below), but they may have another name. I liked the way it was “posing”, nestled against the decaying log. The colors caught my eye. 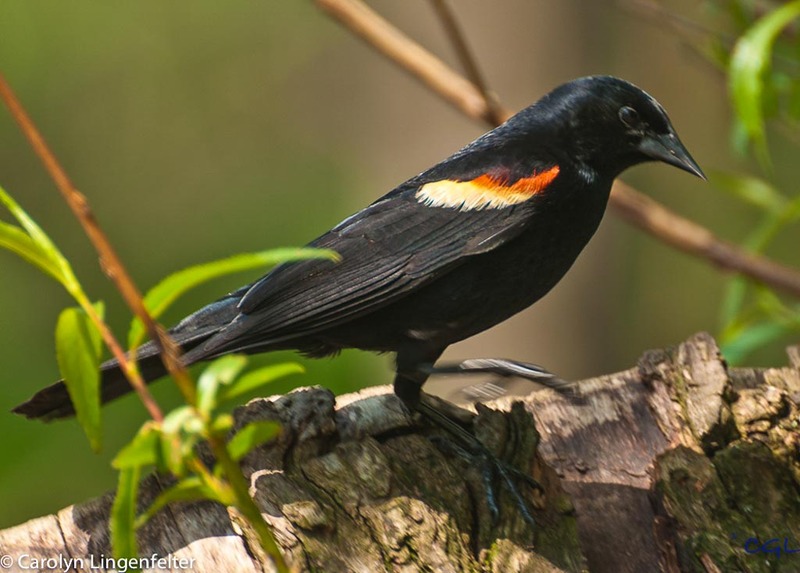 The redwing blackbird is very common in these parts, but even though they are all over the place, calling out and flashing their red and yellow wing bars, it is not all that easy to capture a good photo of one…for me at least…and this is my second this week. The last bird is a wading bird, but I don’t know what it is. When I have a few minutes, I will look it up, but that won’t be today. If anyone knows, please leave a comment about it. I captured two good shots of him and one of them will be my “blip” for today. That’s my gallery for today. Thanks for stopping by my park in northeast Ohio when the annual migration seems to be in full spring. Maybe I will capture more warblers in the next week or so. Spring is an exciting time to go photo walking. Capturing a Warbler is in itself quite an achievement I feel! No matter how patiently I try, they always seem to be in a hurry,, just jumping here and there. Hyper active I suppose! 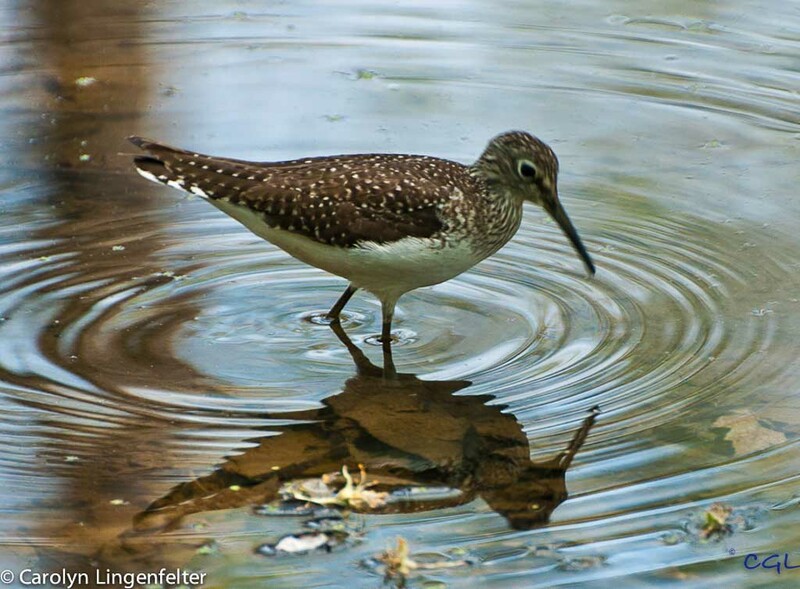 The last looks like a Sandpiper, not sure which species it is. I completely agree about the warblers. They never seem to be still and usually too far away for my 300mm lens. Thanks for suggesting sandpiper. I will look it up.